Mill Spring, N.C. – Last weekend, the Tryon International Equestrian Center, host of the FEI World Equestrian Games™ Tryon 2018 (WEG), welcomed top vaulters from the U.S. and abroad for the CVI3*, CVI2*, CVI1*, and CVIJ2* competitions from April 6-8. The CVI3* served as the official WEG Vaulting Test Event, allowing athletes an opportunity to become better acquainted with the venue, arena, and various facilities on the grounds. 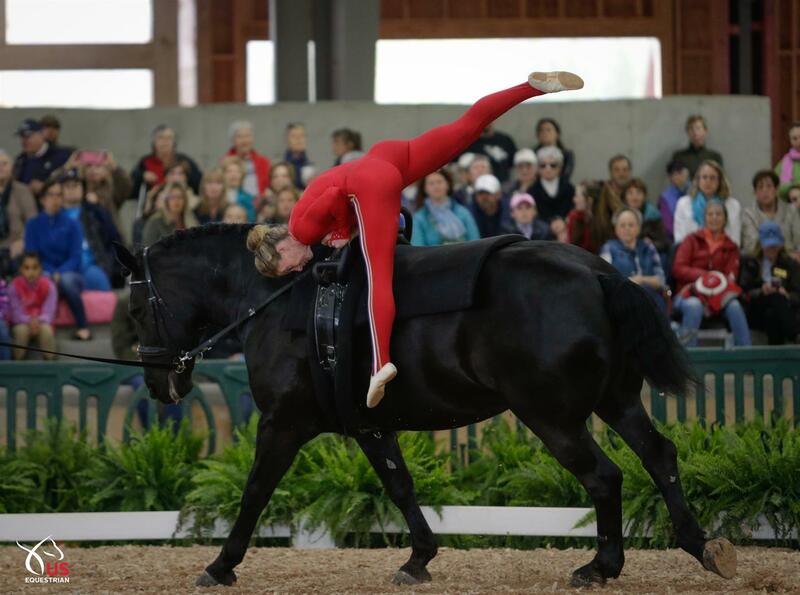 Vaulting is scheduled for the second week of WEG from September 18-22. Competition will be held in the newly renovated indoor arena, complete with 5,000 seats for spectators and central air to best serve the vaulters and reiners who will compete there. The indoor arena will be expanded to include two warm up arenas, and an attached barn is being built. Selection trials for the U.S. Vaulting Team started on April 6 with the CVI3* WEG Vaulting Test Event and six more events will be used as qualifying events for the WEG team. Learn more about the selection criteria for individual, pas-de-deux, and squad divisions for WEG. Additional information relevant to WEG vaulting can be accessed here. Complete results from the vaulting test event can be found here. Stay up to date on news and information about USEF’s vaulting programs and teams by following USA Vaulting on Facebook and use #USAVaulting.